BINGHAMTON, New York, December 7, 2017 (ENS) – In the future, people could wear garments that incorporate power-generating bacteria to support electronic devices. A textile-based, bacteria-powered bio-battery that can be integrated into wearable electronics has been created by a research team at Binghamton University, State University of New York. This work was supported by the National Science Foundation, the Binghamton University Research Foundation and a Binghamton University Analytical and Diagnostics Laboratory Small Grant. He co-authored the paper, “Self-sustaining, solar-driven bioelectricity generation in micro-sized microbial fuel cell using co-culture of heterotrophic and photosynthetic bacteria,” with PhD candidate Lin Liu. “The evolution of this technology will require additional exploration, but we, for the first time, realized this conceptual idea in a micro-scale device,” Choi said. 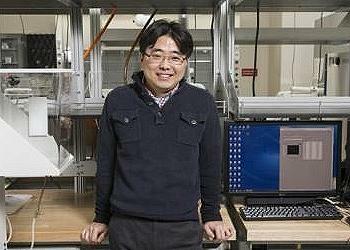 The current work is the latest in a series of battery-related and microbial-based power studies Choi has worked on. Last spring, researchers connected nine biological-solar (bio-solar) cells into a working bio-solar panel for the first time ever. The bacteria used in that experiment were phototrophic. That panel generated the most wattage of any existing small-scale bio-solar cells: 5.59 microwatts. 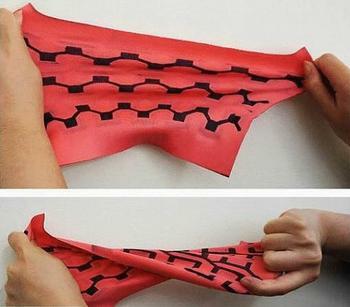 Choi has also developed a microbe-based battery that can use human saliva as a power source, and a battery that can be printed on paper, as well as battery designs inspired by Japanese ninja throwing stars. The new disposable battery that folds like an origami ninja star could power biosensors and other small devices for use in challenging field conditions.